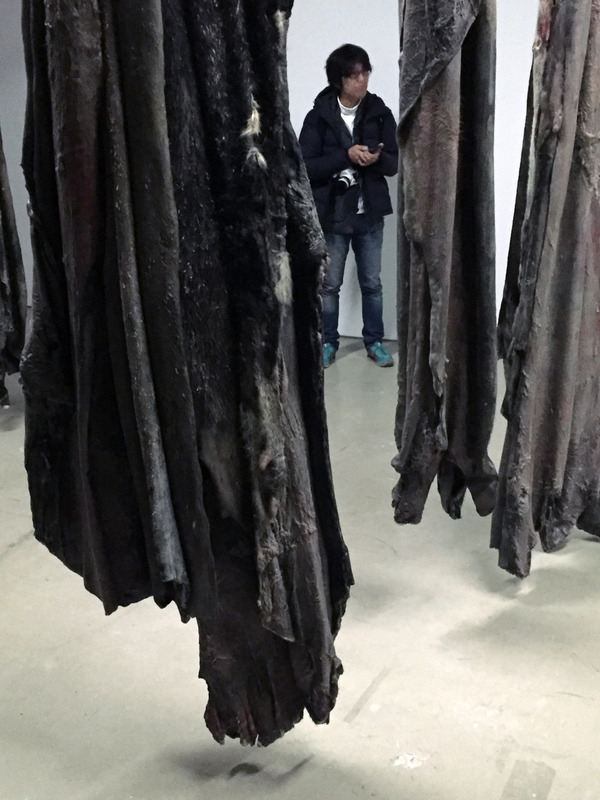 Belgian sculptor who brings a dark Taxidermied feeling to the installation. 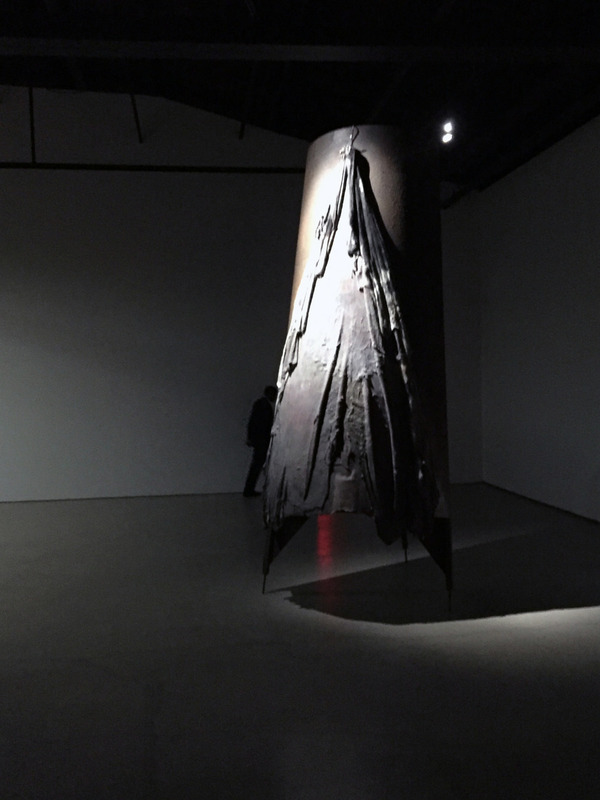 Set up with very low lighting and a textural darkness and subtle wetness to the sculptures, as if they have just been killed and skinned, wrapped and bound. I’m feeling an intensity of the mortal coil being spun off revealing dust. Very powerful show through 4.2.16. Check it out.